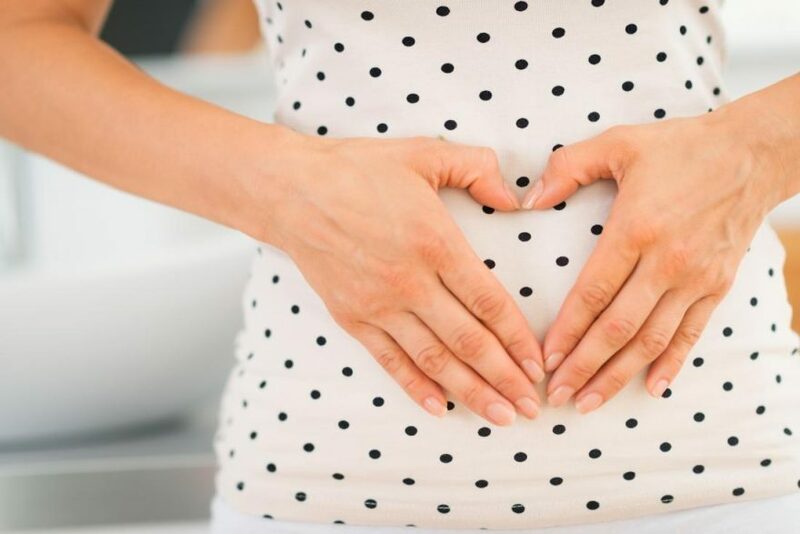 Almost all of the prеgnant women , especially during the first pregnancy are very interested in even the slightest changes in their body.. And quite often a whole lot of different questions arise. As a rule, one of the main ones is: “After how much does the mother’s abdomen begins to grow?”. Some women eagerly await the increase and want to share their joy with others. Others, on the contrary, try to hide their interesting position longer. Pregnancy: When the belly begins to grow? Every woman has a different physiology, so it is almost impossible to determine exactly the time of the appearance of the tummy. For each of the representatives of awesome mommies this period will be purely individual. In some, the belly appears quite early (as early as 7 weeks), while others may well hide their pregnancy until almost the most maternity level. There have been cases of the so-called “hidden pregnancy”, when the growth of the abdomen isn’t visible until the birth. According to obstetricians and gynecologists, the average time for the beginning of abdominal growth is about 16 weeks of pregnancy. It is during this period that the enlarged uterus begins to protrude and palpable in the lower abdomen. Surrounding people will be able to notice an interesting situation at about 19-20 weeks. However, this is all quite individual, and it is very difficult to determine exactly how much the belly will grow. Over the following weeks, the uterus rises higher. At the end of pregnancy, the abdomen drops down a bit as the child preparing for childbirth rushes to the pelvis. Amniotic fluid start to increase. 1. Which is the pregnancy in turn. In girls with first pregnancy, the increase in the abdomen starts at about 4 months. In the second or third, due to stretching of the abdominal muscles growth,occurs much earlier. 2. Anatomy of a pregnant woman (physique, height, weight). As a rule, the abdomen appears earlier and larger to women with low stature and weak thighs. Tall girls with lavish thighs, the belly appears a little later, but their childbirth is usually much easier. 3. Heredity. You can ask your mother or grandmother for their pregnancy when your belly starts to grow. 4. The size and pace of child development. As bigger is the fetus in the abdomen , as earlier it becomes visible. 5. Prophylaxis of the fetus. If the baby is closer to the back wall of the uterus, then the tummy will be visible a little later. 6. The general increase in the weight of women during pregnancy. Why is it necessary to measure the abdomen in pregnant women? At about 7-8 weeks in the clinic, the doctor puts the expectant mom on pregnancy records and begins to monitor how the fetus develops. After the abdomen in pregnant women begins to grow, with each visit to the gynecologist, its size is measured with a measuring medicine equipment. Normally, the length of the uterus should correspond to the number of weeks. Results are compared with existing defined norms. All data is regularly recorded in a special individual medical list of the pregnant woman. Why so carefully monitor the increase in the tummy? Because it is the easiest way to control the growth and development of the fetus, as well as to find out whether there is low or high water. How does a baby develop ? Finding out the size of a little embryo who lives in the tummy, you can already see about 6 weeks. With ultrasound, you can see the ovum having a diameter of 2-4 mm. At 10 weeks gestation, the size of the embryo will increase to 22 mm. At 12 weeks, its length will be 6-7 centimeters. The body weight will be only 20-25 grams. On ultrasound, you can see that the amniotic egg almost completely fills the uterus. At week 16, the baby achieves the following indicators: its length from crown to coccyx is 12 cm, and body weight is about 100 grams. At 20 weeks of growth will be 25-26 cm, weight – 280-300 grams. At 24 weeks, the baby will grow to 30 cm, and the body weight will increase to 600-680 g.
At 28 weeks the growth will be about 35 cm, and the weight will reach 1 kg. At 32 weeks, the baby will grow up to 40 cm, and the weight will be approximately 1500-1700 g.
At 36 weeks the growth will be 45-48 cm and the weight 2400-2500 g.
A full-term baby before birth will weigh about 2.5-5 kg, and grow to 48-54 cm. The Pregnancy- when the belly begins to grow, has its own characteristics. Together with the growth of the child throughout the pregnancy, the size of the uterus increases. At the beginning of the term, it is similar in shape to a pear. But after 3 months it increases almost 3 times, and its shape becomes more rounded. In the last trimester, it takes the form of an egg. At week 4, the uterus is similar in size to a chicken egg. At week 8, it increases in size and becomes a goose egg. Up to 12 weeks, the uterus is located in the pelvis. During the following weeks, she begins to climb higher. At week 16, she is about midway between the pubis and the navel. At week 20, the uterus is located 2 fingers below the navel. At 24 weeks, the uterus reaches the navel. At week 28, she is 2 fingers above the navel. At week 32 begins smoothing the navel. At week 38, the uterus rises and reaches the highest position – costal arches. At 40 weeks, the uterus begins to descend. In the mother’s tummy, the baby is surrounded by amniotic fluid, which performs many important functions for the baby’s life. Their volume increases rather unevenly. For example, by the 10th week of pregnancy their average number is about 30 ml, by the 14th week it is about 100 ml, and by the 18th week it is about 400 ml. Their maximum is observed in 37 – 38 weeks (approximately 1-1.5 liters). At the end of pregnancy, the volume of water decreases slightly. And what if the dimensions do not meet the standards? 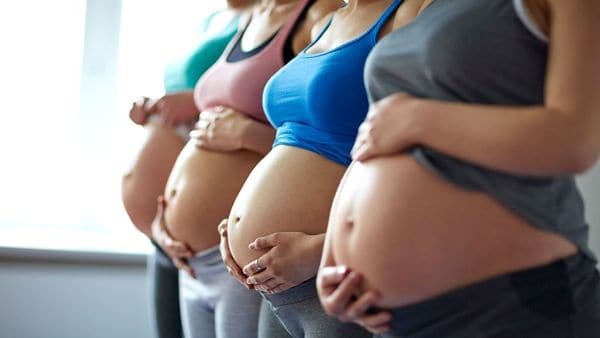 The growth rate of the abdomen and the increase in the uterus must necessarily meet certain parameters that are very important for the normal course of pregnancy. If the uterus does not fit the size of a specific gestational age, this may indicate some pathologies. However, do not panic. If your gynecologist finds a deviation from the norm, he will appoint additional research, will give the direction to the expectant mother on ultrasound. This will allow you to identify the exact reasons for the size mismatch. 1.Hypotrophy (delayed fetal development). In this pathology, due to placental insufficiency, even a full-term baby is born with a weight of less than 2.5 kg. This child is hard to adapt to life, weakened, more prone to various diseases. 2.Less amniotic fluid. It can develop on the background of any inflammatory disease of the mother, hypertension, with the defeat of the excretory system of the fetus, with placental insufficiency and preeclampsia. 3.The child is in a transverse position or is low (which is the threat of abortion). Sharply began to grow tummy? What to do? Is there any reason to worry about this? First of all, remember that you should not make a diagnosis alone. Each pregnancy is individual and doesnt’t like the others. First of all, a woman in that position cannot be nervous, especially without special reasons. The cause of this condition can only be diagnosed by a doctor. 2. Many water. Its cause may be an infection, diabetes mellitus in the future mother, rhesus – conflict, fetal abnormalities, etc. 4.Chorionepithelium, or blistering. It is a tumor that develops from placental tissue and has the appearance of a large number of small vesicles. If it is present, the child dies, and the mother needs to be treated to maintain health. 5. In addition, a large size of the abdomen in a pregnant woman may be due to swelling or a large weight gain. What shape does the belly have during pregnancy? Of particular importance at the moment when the belly begins to actively grow, has its shape. With the normal course of pregnancy and the correct position of the fetus, it is egg-shaped. If polyhydramnios is present, the belly becomes round. When the fetus has a transverse position, the tummy becomes oval. For every woman, pregnancy, when the tummy begins to grow, is a special period of her life in which she is obliged to treat herself more carefully and attentively. After all, not only her well-being, but also the health of the future baby will depend on it !